What is a Non-Traditional Contractor? This week we've been discussing Sec 820 of the fiscal year 2017 NDAA (National Defense Authorization Act) which deals with Cost Accounting Standards, the Defense Cost Accounting Standards Board (DCASB) and privatizing some of DCAA's (Defense Contract Audit Agency) contract audit functions. Sec 820 makes references to "nontraditional defense contractor" in a couple of places. First, in describing the makeup of the new Defense Cost Accounting Standards Board (DCASB), one of the members of the Board must be a representative of a "nontraditional defense contractor". Second, is a reference to Cost Accounting Standards being a barrier to participation by nontraditional contractors. The term "nontraditional defense contractor", with respect to a procurement or with respect to a transaction authorized under section 2371(a) or 2371(b) of this title, means an entity that is not currently performing and has not performed, for at least the one-year period preceding the solicitation of sources by the Department of Defense for the procurement or transaction, any contract or subcontract for the Department of Defense that is subject to full coverage under the cost accounting standards prescribed pursuant to section 1502 of title 41 and the regulations implementing such section. The term "nontraditional defense contractor", with respect to a procurement or with respect to a transaction authorized under section 2371(a) or 2371(b) of this title, (A) means a specific business unit or function with a unique entity identifier that is not currently performing and has not performed, for at least the one-year period preceding the solicitation of sources by the Department of Defense for the procurement or transaction, any contract or subcontract for the Department of Defense that is subject to full coverage under the cost accounting standards prescribed pursuant to section 1502 of title 41 and the regulations implementing such section and (B) does not mean a business unit that received a transfer of procurement or transaction from another business unit within the same corporate entity that is currently performing or performed, for at least the one-year period preceding the solicitation of sources by the Department of Defense for the procurement or transaction, any contract or subcontract for the Department of Defense that is subject to full coverage under the cost accounting standards prescribed pursuant to section 1502 of title 41 and the regulations implanting such section. The key difference in these two definitions is that if a contractor is getting work from another division under a Government contract, it cannot be a nontraditional defense contractor simply because it doesn't have its own prime contracts. The other thing to note in this definition is that if a contractor had Defense contracts at one time but has gone a year without any Government work, it re-qualifies as a nontraditional defense contractor. We've spent this week covering most of the provisions of Sec 820 of the fiscal year 2017 National Defense Authorization Act (NDAA). On Monday we discussed how Congress intends to rejuvenate the CAS (Cost Accounting Standards) Board. On Tuesday, we discussed the new Defense Cost Accounting Standards Board (DCASB) and yesterday, we discussed the impending privatization of a significant portion of DCAA's (Defense Contract Audit Agency's) workload, e.g. audits of contractor indirect costs. The committee is disappointed that the Federal Cost Accounting Standards Board does not currently have a quorum of members and has not met in over three years. Due to this situation, it is doubtful that any credible reform will emanate out of the board in the future and the committee believes that a DOD board will be better suited to meet national security needs. ...the current cost accounting standards favor incumbent defense contractors and limit competition by serving as a barrier to participation by non-traditional, small business, and commercial contractors. To level the competitive playing field to access new sources of innovation it is in the governments interest to adopt more commercial ways of contracting, accounting, and oversight. When the bill went to compromise committee, the Senate version prevailed although it was somewhat watered down from what the Senate had proposed initially. Instead of giving up on the CAS Board, the compromise language seeks to improve the workings of the CAS Board and supplement it with a Defense CAS Board (DCASB) to address DoD-unique cost accounting standards (whatever those might be). Instead of promulgating new standards under the Senate version, the final NDAA allows the DCASB to advise the CASB on cost accounting standards that need changing. The idea of privatizing some of DCAA's workload was retained in the final NDAA even though the Executive Branch opposed it, stating that audits by both DCAA and commercial audit firms would create burdens and inefficiencies for both contractors and Government agencies. Although not part the of the NDAA, the conferees included language in its explanation of the compromises to "encourage the Director, Defense Contract Audit Agency (DCAA) to examine the potential for electronic quality management systems to improve the ability of DCAA to conduct thorough and timely audits." Not sure what the conferees had in mind here but perhaps we'll learn more later. This week, we've been covering various provisions of Sec 820 of the 2017 NDAA (National Defense Authorization Act). Monday we covered how the new law is designed to get the CAS (Cost Accounting Standards) Board moving once again. Yesterday we discussed the formation and duties of a new Defense CAS Board (DCASB). Today we another aspect of Sec 820 that moves to privatize some of the contract auditing function by moving certain audits from DCAA (Defense Contract Audit Agency) to commercial firms. such audit was performed using relevant commercial accounting standards (such as Generally Accepted Accounting Principles) and relevant commercial auditing standards established by the commercial auditing industry for the relevant accounting period (presumably this means audits conducted according to GAAS (Generally Accepted Auditing Standards) and not according to GAGAS (Generally Accepted Government Auditing Standards) or "Yellow Book" audits). Further, Sec 820 states that DCAA may audit direct costs of DoD cost contracts and shall rely on commercial audits of indirect costs without performing additional audits, except that in the case of companies or business units that have a predominance of cost-type contracts as a percentage of sales, DCAA may audit both direct and indirect costs. These provisions will have a major impact on DCAA's workload. In recent years, DCAA has concentrated a significant portion of its manpower on performing incurred cost audits. Take that responsibility away and DCAA may not need its current staffing level. Contractors will have to go out and find their own independent auditors to perform the indirect cost effort at additional cost to them. However, to the extent they can charge this to Government contracts, the cost will be reimbursed. A lot depends upon the contract mix and the indirect rate structure as to how much will be reimbursed. Contractors who choose the privatization approach to indirect cost auditing will probably be able to close out contracts much quicker than they do currently. Tomorrow we will conclude this series on Sec 820 with a few miscellaneous provisions and comments. We are continuing to unpack the Defense Const Accounting Standards provision (Sec. 820) included in the 2017 NDAA (National Defense Authorization Act). Yesterday we discussed Sec 820's provisions designed to reinvigorate the CAS (Cost Accounting Standards) Board (See Part 1). Today we discuss the section dealing with the creation of a Defense Cost Accounting Standards Board (DCASB), its purpose and composition. The DCASB is to be established as an independent board in the Office of the Secretary of Defense. There will be seven members, chaired by DoD's Chief Financial Officer. The remaining six members, all of whom must have experience in contract pricing, finance, or costs accounting include three representatives from the Department of Defense and three from the private sector. The private sector representatives must include one member who is a representative of a nontraditional defense contractor and one of whom is a representative from a public accounting firm. Don's confuse DCASB with CASB. DCASB is the newly constituted Defense Cost Accounting Standards Board. CASB is the regular Cost Accounting Standards Board which has been around since the early-1970s. shall review cost accounting standards established by the CASB and recommend changes to such cost accounting standards to the CASB. shall develop standards to ensure that commercial operations performed by Government employees at the Department of Defense adhere to cost accounting standards (based on cost accounting standards established by the CASB) or GAAP (Generally Accepted Accounting Principles) that inform managerial decision-making. We have no idea of the intent of item 3 above but we'll figure it out and let you know once we do. Sec 820 does not set term limits for DCASB board members except for the provision that Government members can no longer serve after leaving Government service. Private sector members will be compensated at around $80 per hour for the time spent engaged in the actual performance of duties vested in the Board. Government members receive no extra pay. Tomorrow we will look as specific provisions within Sec 820 affecting DCAA (Defense Contract Audit Agency) and the opportunities for contractors to reduce DCAA oversight. Late last Friday, when everyone had left work for the Holidays, the President signed the 2017 NDAA (National Defense Authorization Act). The President's signature was not unexpected though perhaps the timing of it took some by surprise. Today and in the next few postings, we will take a look at some of the provisions that are most likely to impact Government contractors. Of course the $618 billion spending will lead to a lot of work for contractors but after award, then what. We want to look as some of those provisions that not too many are focusing on right now. The first topic we will discuss is Sec. 820 of the NDAA, Defense Cost Accounting Standards. This section has three main purposes: (i) revive the Cost Accounting Standards Board, (ii) establish a Defense Cost Accounting Standards Board, and (iii) privatize some of the audit work being performed by the Defense Contract Audit Agency. Revive the Moribund Cost Accounting Standards Board. The Cost Accounting Standards Board (CASB) has been dormant for at least three years. The new provision establishes additional duties for the Board, requires them to meet periodically, and issue reports on their activities. The Board must ensure that the cost accounting standards used by Federal contractors rely, to the maximum extent practicable, on commercial standards and accounting practices and systems. Annually review disputes involving such standards brought to the ASBCA or CBCA or Federal courts, and consider whether greater clarity in such standards could avoid such disputes. Periodic Meetings. The new rule requires the CASB to meet not less than once each quarter and publish in the Federal Register notice of each meeting and its agenda before such meeting is held. New reporting requirements. The new rule requires the CASB to submit a report to the congressional defense committees, the Committee on Oversight and Government Reform of the House of Representatives, and the Committee on Home land Security and Governmental Affairs of the Senate describing the actions taken during the prior year to (i) conform the cost accounting standards to GAAP and (ii) to minimize the burden on contractors while protecting the interests of the Federal Government. Tomorrow we will look at Sec 820's provisions for a new Defense Cost Accounting Standards Board (DCASB). Not every Government procurement requires contractors to submit certified cost or pricing data. In fact, certified cost or pricing data is a last resort when one of the exemptions described in FAR 15.403-1 is not available (e.g. adequate price competition, prices set by law or regulation, commercial items, etc). When certified cost or pricing data is required, the threshold is currently set at $750 thousand (see FAR 15.403-4). The $750 thousand threshold applies to the negotiated price including profit or fee. Sometimes contractors forget that and mistakenly believe that a cost buildup that comes in under that amount is exempt. Then, at the conclusion of negotiations when the contracting officer slides a certificate of current cost or pricing data across the table for them to sign, they're not only surprised but now they're worried that perhaps they didn't perform a final scrub to ensure that all factual data was provided to the Government. The same thing can happen with quantities. Sometimes a solicitation may require a certain quantity that when priced out, falls under the cost or pricing data threshold. However, during negotiations, the quantities are increased resulting in a final price that exceeds the certified cost or pricing data threshold. The gratitude of getting more business can suddenly turn worrisome when you realize that your proposal may not be as current, complete, and accurate as it could have and should have. The consequences for failing to comply with TINA (the Truth in Negotiations Act) can be severe and even though the chances a contract will be audited for compliance with TINA may be slim (normally the larger the contract, the higher the chance), those chances increase significantly if the Government's interest in contractors' operations are piqued because of other matters. Contract auditors often expand their coverages when audit risks become elevated. Whether certified cost or pricing data is required or not, contractors should always be providing the Government their best pricing. Its fine to make a profit and the Government wants contractors to be profitable. But the amount of profit must also be reasonable. Beginning in January, you might see a new clause showing up in solicitations and contracts. The new clause will mandate privacy training on contracts where contractor employees will have access to a system of records where they will create, collect, use, process, store, maintain, disseminate, disclose, dispose, or otherwise handle personally identifiable information, or contractor employees will be designing, maintaining, or operating such a system of records. Personally identifiable information in this context means information that can be used to distinguish or trace an individual's identity, either alone or when combined with other information that is linked or linkable to a specific individual. Procedures to be followed in the event of a suspected or confirmed breach of a system of records or unauthorized disclosure, access, handling, or use of personally identifiable information. Contractors may prepare and provide its own training or use the training of another agency unless the contracting officer specifies that only its agency-provided training is acceptable. Contractors will be required to maintain and, upon request, provide documentation of completion of privacy training for all applicable employees. No contractor employee shall be permitted to have or retain access to a system of records, create, collect, use, process, store, maintain, disseminate, disclose, or dispose, or otherwise handle personally identifiable information, or design, develop, maintain, or operate a system of records, unless the employee has completed privacy training that, at a minimum, addresses the elements described above. In some cases, there may be a very short window between the award of a contract and the need to begin accessing personally identifiable information. In those cases, contractors must have already developed and be prepared to deliver the required training quickly. Read more about the proposed rule here. The FAR Councils issued a final rule amending the FAR (Federal Acquisition Regulation) that will require contractors to notify the contracting officer, in writing, if the contractor pays a reduced price to a small business subcontractor or if the contractor's payment to a small business subcontractor is more than 90 days past due. The rule also requires contracting officers to record the identity of contractors with a history of late or reduce payments to small business subcontractors in FAPIIS. This new rule "furthers the Administration's goal of supporting small business and advance the interests of small business subcontractors by discouraging reduced or untimely payments to small business subcontractors". It applies to all contracts including COTS (Commercial Items) and becomes effective on January 19, 2017.
late performance by the subcontractor leads to later payment by the prime contractor. Reduced Payment means a payment that is for less than the amount agreed upon in a subcontract in accordance with its terms and conditions, for supplies and services for which the Government has paid the prime contractor. Untimely Payment means a payment to a subcontractor that is more than 90 days past due under the terms and conditions of a subcontract for supplies and services for which the Government has paid the prime contractor. Elsewhere, the new rule discusses what constitutes a history of reduced or untimely payments. A history of unjustified reduced or untimely payments has occurred when a contractor has reported three or more occasions of unjustified reduced or untimely payments under a single contract within a 12-month period. It seems unlikely, for a variety of reasons,that any reporting will ever be made under this new regulation. If you want to read more, click here. Last month, Senator James Lankford released his second edition of Federal Fumbles wherein he provided 100 examples of wasteful government spending (see Federal Fumbles - 2016 Edition). 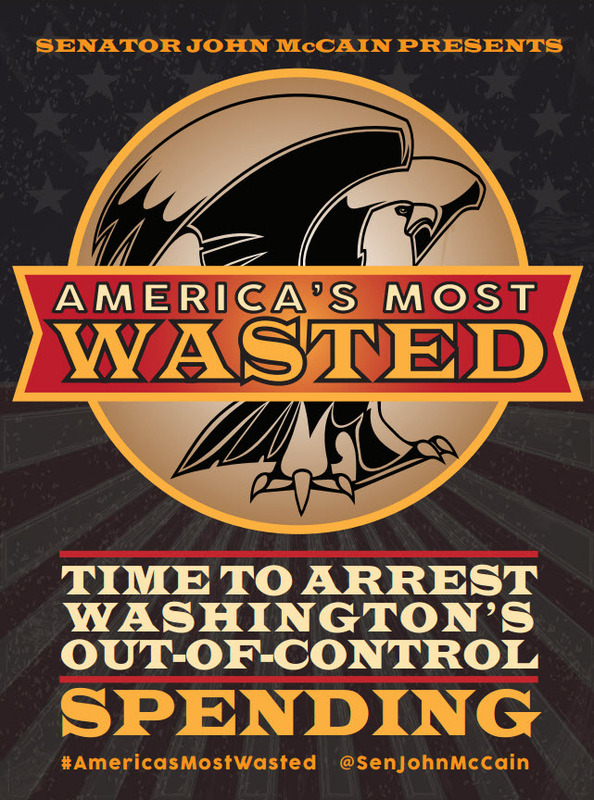 Not to be outdone, Senator John McCain released a report entitled "America's Most Wasted" which he calls the first in a series of oversight reports that expose wasteful, duplicative and inefficient government spending. McCain's report identifies $294 million in funding on federal programs that have expired and are no longer authorized to receive tax dollars including swedish massages for rabbits and NASA's green ninjas program for children. Additionally the report identifies $1.1 billion on the following wasteful spending programs. Many of the identified wasteful program are grants awarded by the National Institute of Health, Environmental Protection Agency, The National Endowment for the Arts, and Department of Agriculture. Some of the larger programs however (building renovations) involved construction contracts. If each member of Congress identified $2 billion, or so, in wasteful spending, we would really be on to something. The Competition in Contracting Act of 1984 requires that the Comptroller General (i.e. the GAO or Government Accountability Office) report to Congress each instance in which a federal agency did not fully implement one of its recommendations in connection with a bid protest decided in the prior fiscal year and each instance in which a final decision in a protest was not rendered within 100 days after the protest has been filed. The GAO just published its Fiscal Year 2016 bid protest annual report to Congress reporting that there were no such occurrences during fiscal year 2016. The report also provided summary level data concerning the overall protest filings for the year and shows comparative data from previous years. The number of bid protest cases filed increased by six percent over fiscal year 2015. That's the highest number of cases since at least 1997. The number of cases closed also set a record for that time-frame. GAO issued 616 decisions of which 139 were "sustains". That represents a sustention rate of 22.5 percent which is almost double that of fiscal year 2015. The effectiveness rate which measures a protestor obtaining some form of relief from the agency either as a result of voluntary agency corrective action or the GAO sustaining the protest held steady at 46 percent. That means protesters have almost a 50 percent chance of some form of relief - not bad odds, considering. The number of ADR (Alternative Disputes Resolution) cases fell significantly from 103 cases in fiscal year 2015 to only 69 cases in fiscal year 2015. Eighty-four percent of those cases were resolved without a formal GAO decision. You can read the Annual Report here. You can read our posting from last year's Annual Report here. The FAR Councils published two new regulations today, one concerning Fair Pay and Safe Workplaces and the other Paid Sick Leave for Federal Contractors. We previously reported on these topics at earlier stages of the rule making process. See Safe Workplaces and Paid Sick Leave. Fair Pay and Safe Workplaces. A final rule was published back in August amending FAR to implement the President's Executive Order (EO) on Fair Pay and Safe Workplaces. The EO was ostensibly designed to promote contracting efficiency by improving compliance with basic labor standards during the performance of federal contracts. However, implementation of portions of the EO were preliminarily enjoined by an order of the Federal District Court so FAR had to be amended to comply with the Judge's injunction order. Specifically, the Government is enjoined from implementing any portion of the FAR rule or Department of Labor Guidance relating to the new reporting and disclosure requirements regarding labor law violations. The new rule published today ensures that new solicitations do not include representations or clauses that the enjoined coverage would have required. The portion of the EO dealing with paycheck transparency remains unchanged. That rule requires contractors and subcontractors to provide wage statements to workers, giving them information concerning their hours worked, overtime hours pay, and any additions to or deductions made from their pay. Paid Sick Leave for Federal Contractors. This new interim rule becomes effective for solicitations issued after January 1, 2017 and will allow Government contractor employees to earn up to seven days (or more) of paid sick leave annually including paid sick leave for family care. This rule seems like a formality as it merely implements final regulations published by the Department of Labor back in September. The rules themselves are quite extensive but bottom-line, contractors and subcontractors must allow their workers to accrue one hour of sick leave for every hour worked (or 56 hours per year). The interim regulation also contemplates that contractors will need to create a written sick leave policy regardless of the number of employees. The Department of Justice announced that during fiscal year 2016 (ending September 30, 2016) it obtained more than $ 4.7 billion in settlements and judgments from civil cases involving fraud and false claims against the Government. This represents the third highest recovery since fiscal year 2009 and brings the total amount recovered during that period to $ 31.3 billion. Government contracting was not the major culprit in these recoveries. Of the $4.7 billion recovered, more than half ($2.5 billion) came from the health care industry including drug companies, medical device companies, hospitals, nursing homes, laboratories, and physicians. Justice pointed out that the $2.5 billion represented only the Federal portion of losses. Significant additional recoveries were recovered by state medicaid programs. After the health care industry, the next largest recoveries came from the financial industry, notably involving housing and mortgage fraud. Settlements and judgments in cases alleging false claims in connection with federally insured residential mortgages totaled nearly $1.7 billion. Together, the health care and financial industries accounted for $4.2 of the $4.7 billion (89 percent) in recoveries. Justice reported that most false claims actions are filed by whistleblowers under the qui tam provisions of the False Claims Act. When the Government prevails in the action, the whistleblower, also known as the relator, receives up to 30 percent of the recovery. In Fiscal Year 2006, whistleblowers filed 702 qui tam suits, averaging 13.5 new cases per week. $2.9 billion of the $4.7 billion in recoveries were the result of whistleblower suits. During Fiscal Year 2016, whistleblowers collected a total of $519 million. Although small by comparison to health care and financial industry fraud, the Justice Department pursued a variety of procurement fraud matters. Justice specifically called out L-3 Communications who paid the Government $25.6 million for defective holographic weapon sites sold to Homeland Security and the FBI. Read more about Justice's recoveries here. The Army awarded a fixed-price contract to the Missouri Department of Social Services (MDSS) to operate 18 dining facilities at Fort Leonard Wood, MO. Two years into the contract, the Army issued a partial termination for convenience removing six dining facilities from the contract. After the partial termination, the Army and MDSS were unable to agree on a price for the remaining 12 dining facilities so MDSS submitted a claim for the increased costs of performing the remaining contract work. The contracting officer denied the claim saying that it should be deferred in order to ensure that there was no duplication of costs between the equitable adjustment proposal and a termination settlement proposal. MDSS appealed the contracting officer's final decision to the ASBCA (Armed Services Board of Contract Appeals). The ASBCA found that the partial contract termination increased MDSS's cost to perform the remaining work. The Board noted that while MDSS's fixed costs remained the same, its production hours decreased from 1.3 million hours to 980 thousand hours. Therefore, MDSS was entitled to an increase in its price per hour in an amount equal to its unrecovered (or unrecoverable) fixed costs. The Army argued that just because actual requirements did not meet estimated requirements, does not entitle MDSS to an equitable adjustment. The Board ruled that the Army's position missed the point. The Board noted that the Army and MDSS had entered into a different contract than the one that existed after the partial termination. The original contract contemplated 50 percent more dining facilities and 300 thousand more production hours that the post-termination contract. The ASBCA sustained MDSS's appeal on entitlement and remanded it back to the parties for a quick resolution on quantum. You can read the entire published ASBCA decision here. The Defense Contract Audit Agency (DCAA) is responsible for testing contractor compliance with Cost Accounting Standards (CAS) and report any noncompliances to the cognizant contracting officer, usually someone from the Defense Contract Management Agency (DCMA) to resolve the potential noncompliances. FAR (Federal Acquisition Regulations) Part 30, Cost Accounting Standards Administration, contains the regulations on what should happen after issuance of CAS noncompliance reports. The Department of Defense, Office of Inspector General (DoD-IG) initiated an audit to see how well contracting officers were complying with these regulations. Its report was issued last week. The IG selected 27 DCAA audit reports addressing noncompliances with CAS 403 (Allocation of Home Office Expenses to Segments), CAS 410 (Allocation of Business Unit G&A to Final Cost Objectives), and CAS 418 (Allocation of Direct and Indirect Costs) to determine whether contracting officers' actions taken in response to the 27 reports complied with FAR 30.6 (and DoD Instruction 7640.2, Policy for Follow-up on Contract Audit Reports). As a result, correction of reported CAS noncompliances was delayed and contractors were inappropriately reimbursed for additional costs resulting from the noncompliances. The IG recommendations included more training (of course, more training is the IG's solution to every problem) and more effective controls to ensure contracting officer compliance with the regulations. DCMA, of course, concurred with the recommendations, and why wouldn't they? Those recommendations are extremely benign. You can read the entire IG report here. The Berry Amendment is a statutory requirement that restricts the Department of Defense (DoD) from using procurement funds for food, clothing, fabrics, fibers, yarns, other made-up textiles, and hand or measuring tools that are not grown, reprocessed, reused, or produced in the United States. With respect to textiles, the Berry Amendment has been critical to the viability of the textile and clothing production base in the US (source: Department of Commerce Website). The Army issued a solicitation to supply approximately 225 thousand baseball caps specifying that the award was to be made to the responsive, responsible bidder offering the lowest price. The solicitation emphasized that the selected contractor must comply with the requirements of the Berry Amendment. Ultimately the Army awarded the contract to Lag Sports and in furtherance of the enforcement of the Berry Amendment requirements, the contracting officer requested additional information and confirmation from Lag Sports. Lay confirmed that all materials, assembly, and embroidery would be performed in the US and identified the mills that would be supplying the fabric it would use. An unsuccessful bidder, Inspire International protested the award arguing that the awarded contract price was so low that it could only be based on an intent to furnish non-domestic products in violation of the Berry Amendment. The Comptroller General (CG) denied the protest. The CG found that the Army reasonably relied on the representations made in Lag Sport's quotation, and also sought additional reassurances regarding the domestic manufacture of the caps. The CG ruled that price alone did not prove an intent to violate the Berry Amendment. A firm, in its business judgment, properly may decide to submit a price that is extremely low, or even below the cost of performance. In short, Inspire was unable to show any reasonable basis to conclude the awardee will furnish noncompliant products. You can read the full Conptroller General decision here. Section 702 of the Bipartisan budget Act of 2013 (BBA) established a cap of $487,000 per year on the amount the Federal Government will reimburse contractors employee compensation on contracts with defense and civilian agencies. By law, this amount must be adjusted annually to reflect the change in the Employment Cost Index for all workers, as calculated by the Department of Labor, Bureau of Labor Statistics (BLS). This cap applies to all contracts awarded after June 24, 2014 but so far, OMB (Office of Management and Budget) has not increased the cap so contractors should be proposing and seeking reimbursement for no more than the current $487,000 cap. Perhaps the change in the Employment Cost Index has not been sufficient to move the cap. creation of an alternative definition of compensation to address the scope of the cap. Ultimately, OMB and DoD concluded that none of the four alternatives would be more effective than the benchmark established by Section 702 which, they believed, was a substantial improvement over the statutory formula it replaced. Finally, Section 702 allows agency heads to establish one or more narrowly targeted exceptions for scientists, engineers, or other specialists upon a determination that such exceptions are needed to ensure that the executive agency has continued access to needed skills and capabilities. It also requires OMB to report annually on use of the exception authority, including the total number of contractor employees, the taxpayer-funded compensation amounts, and the duties and services performed. For fiscal years 2014 and 2015, OMB reported that no exceptions were granted. Information for fiscal year 2016 is not yet available. No company has been brave enough to request an exemption yet. It appears that the $487,000 cap, adjusted for changes in the Employment Cost Index, will be the benchmark for the foreseeable future. The Defense Contract Audit Agency (DCAA) has significantly reformatted its on-line version of the Contract Audit Manual (CAM).The on-line version of CAM is the only version currently available - DCAA discontinued the print version several years ago. The previous on-line versions were simply .PDF copies of the printed version. The new formatting takes advantage of web-based navigation (e.g. hyperlinking) so that the reader, looking at the table of contents in one of the chapters, can navigate directly to the selected section by clicking within the table of contents. Additionally, there are copious hyperlinks within the text itself that take you directly to a FAR (Federal Acquisition Regulation) section, or other regulations or statutes, etc. Clicking on a double asterisks will take you back to the table of contents for that chapter. The topical index, although sharing the formatting style used throughout CAM, does not contain hyperlinks. Hopefully DCAA will remedy that omission shortly. We don't know whether DCAA incorporated any substantive changes to the newly re-formatted version. Previously, changes were identified by shading the changed passages. Our cursory review of the new format however did not disclose any shading. Access DCAA's Contract Audit Manual by clicking here. The cost principles in FAR (Federal Acquisition Regulations) Part 31 do not cover every element of cost that may be incurred by a Government contractor. The absence of coverage of a particular cost category however does not mean the cost are automatically allowable, or even unallowable. Remember, a cost must also be reasonable and allocable to the contract and it must also comply with contract terms. There are a lot of situations where the Government will cap certain costs by inserting provisions in the contract. For example, DOE (Energy) likes to cap executive compensation and many Agencies will cap the amount of overtime that can be charged to their contract(s). A good example of costs not specifically mentioned in the FAR cost principles is signing bonuses and retention pay. Both types of costs are common in the construction industry. Both types are generally going to be allowable provided they are also reasonable and allocable because they meet the "reasonableness" test in FAR 31.201-3. But every once in a while, an auditor will try to challenge the costs, especially when they see the word "bonus" in the description. When a cost is not specifically covered by a cost principle, the determination of allowability is based on the principles and standards in FAR Part 31 and the treatment of similar or related selected items. When ore than one subsection in FAR 31.205 is relevant to a cost, the cost shall be apportioned among the applicable subsections and the determination of allowability of each portion shall be based on the guidance contained in the applicable subsection. When a cost to which more than one subsection in 31.205 is relevant cannot be apportioned, the determination of allowability shall be based on the guidance contained in the subsection that most specifically deals with or best captures the essential nature of the cost at issue. Take, for example, the cost of website development and maintenance. Those costs are not covered in a cost principle so it is necessary to look a little deeper to determine allowability. So you look at the purpose. Is it for advertising? Probably - that is certainly one of the purposes of a website. Advertising is generally unallowable. Is it to provide the public an address or contact information? Yes - that would be allowable. Is it to disseminate information to employees? Yes - that would also be allowable. Is it a vehicle to accept orders for products? Yes - but allowability would be governed by the selling cost principle (FAR 31.205-38). So since a company website serves both allowable and unallowable purposes, one would need to apportion the costs between allowable and unallowable. Sometimes it's not so easy to determine whether a cost is allowable or unallowable - especially where some level of apportionment is required. Last month, a new regulation requiring DoD contractors who expend more than $11 million a year on IR&D activities to engage in technical interchanges with DoD employees before the costs were incurred as a condition of allowability, went into effect (see Contractors Must Now Engage in Technical Exchanges with DoD Prior to Incurring IR&D Costs). Many contractors are already in their fiscal years 2017 and for calendar year contractors, 2017 is just a month away. It seemed impractical, if impossible, for contractors to engage in constructive technical interchanges with DoD personnel in such a short period of time so DoD last week, relaxed the rules to allow discussion to occur sometime during fiscal year 2017 instead of requiring discussions prior to the incurrence of costs in 2017 (see Class Deviation - Enhancing the Effectiveness of Independent Research and Development). The old and new requirements read as follows. Differences are italicized. OLD: For IR&D projects initiated in the contractor's fiscal year 2017 and later, as a prerequisite for the subsequent determination of allowability, the contractor shall engage in a technical interchange with a technical or operational DoD Government employee before IR&D costs are generated so that contractor plans and goals for IR&D projects benefit from the awareness of and feedback by a DoD Government employee who is informed of related ongoing and future potential interest opportunities. NEW: For IR&D projects initiated in the contractor's fiscal year 2017, as a prerequisite for the subsequent determination of allowability, the contractor shall engage in a technical interchange with a technical or operational DoD Government employee sometime during the contractor's fiscal year 2017 so that contractor plans and goals for IR&D projects benefit from the awareness of and feedback by a DoD Government employee who is informed of related ongoing and future potential interest opportunities. The class deviation applies only to contractor fiscal years 2017 and alleviates the requirement that the technical interchanges occur before costs are generated for IR&D projects initiated in the contractor's fiscal year 2017 to afford contractors a phase-in period to develop processes and procedures. We've discussed the importance of maintaining an adequate timekeeping system many times on this blog. 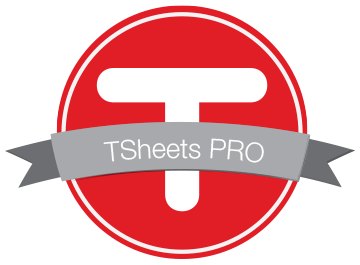 Whether using a manual (paper or Excel) or an automated timekeeping system (tons of them out there at nominal cost), the basic requirements are the same; employees record their time at least daily, supervisors, or someone that has first hand knowledge of the employees' activities reviews and signs (manually or electronically) certifying that the hours are accurate, and any changes to original entries are documented. Beyond that, contractors must implement some kind of monitoring process to ensure that employees are adhering to established timekeeping policies and the results of those monitoring activities must be sent to management for corrective action, if any. Those fundamental requirements seem fairly straight-forward and simple to understand and implement, yet throughout Government contracting, there is a very high rate of noncompliance. Where internal controls are weak, where the contractors' monitoring process is absent or ineffectual, or where there are no consequences for failing to comply with timekeeping policies and procedures, the rate of noncompliance is even higher. With this in mind, consider the Department of Justice (DoJ) press release from late last week. A federal grand jury charged a contractor employee for falsely representing to her employer that she was working as a security guard at a government facility, when she was actually elsewhere. The indictment alleges that for nearly a year, from September 2015 to August 2016, the employee regularly abandoned her work station and falsely represented to her employer that she had been working as a security guard when she was actually elsewhere. This cost the Government about $40 thousand for work that was not performed. An indictment is not a finding of guilt. An individual charged by indictment is presumed innocent unless and until proven guilty at some late criminal proceeding. The press release was bereft of details concerning the manner in which the fraud was uncovered and reported. It could have been a result of a whistleblower or perhaps a voluntary disclosure by her employer. It is possible that someone began to notice that the security guard was regularly no where to be found. The fact that the fraud continued for a full year suggests to us that the employer, the Government contract, had weak internal controls over its timekeeping practices. Someone had to be reviewing and certifying the employee's timecard - certifying that the work had been performed. Also, the company should have been performing its own internal audits of timekeeping practices to ensure compliance. Obviously, its oversight was not as robust as it should have been. You can read the full DoJ press release here. The Department of Defense issued guidance yesterday reminding its contracting officers to pay attention to the DFARS (DoD FAR Supplement) guidelines for determining profit or fee on negotiated contracts (see Guidance on Evaluation of Risk in Negotiating Contract Profit or Fee). There is certainly nothing wrong with earning profit. In fact, the Government's official contracting policy is to pay companies a fair profit for the work performed. But what is a fair profit? DoD has developed a methodology called the Weighted Guidelines Method to developing a range of what is fair and reasonable. After developing the range, the final percentage is determined in negotiations. The Weighted Guidelines Method (WGM) is, at its core, a risk based approach to determining profit or fee. Fixed price contracts are more risky than cost-type contracts so the profit percentage attributable to fixed price work will be higher than the fee percentage for cost type work. Investments in property, plant, and equipment will also play a role in fee calculations. Manufacturers having invested considerable sums into equipment will earn a higher rate than say, a grass cutter on a military installation. Progress payments (and interim billings on cost-type work) will also have a bearing on profit/fee calculations. Getting paid as you go reduces the overall risk of contract performance - it certainly reduces cash flow requirements. The new guidance offered anew example. If a contractor, required to utilize DoD staffing in performing the work has a contract clause allowing it to submit an equitable adjustment in the event the DoD workforce is not performing up to par (i.e. a work stoppage), that clause reduces the risk to the contractor and should result in a lower profit rate. The DoD issued the guidance because IG (Inspector General) audits have uncovered numerous cases where the profit paid to contractors were not based on a full understanding of the risks involved in the specific work being performed. Contractors should familiarize themselves with DoD's weighted guidelines methodologies at DFARS 215.404-71. Although required for DoD contracts, we are aware that other Governmental agencies use the DoD methodologies for their own profit/fee negotiations. last March, the DHHS (Department of Health and Human Services) issued a solicitation for IT (Information Technology) services and supplies. The RFP (Request for Proposal) contemplated the award of up to 35 ID/IQ (Indefinite Delivery/Indefinite Quantity) contracts over a 10 year period. The RFP contained detailed instructions regarding proposal submission including a requirement to submit verification of an adequate accounting system. Because of the need for contractors to respond to cost-reimbursement task orders, in order to be eligible for award, offerors must have verification of an accounting system that has been audited and determined adequate for determining costs applicable to this contract. For offerors proposing as a CTA (contractor team arrangement), each member of the CTA must show evidence that it has verification of an adequate accounting system. Failure to do so, the RFP warned, will result in an unacceptable rating. Verification of an offeror's (and all members of the CTA's) accounting system could be performed by DCAA (Defense Contract Audit Agency), DCMA (Defense Contract Management Agency), or any federal civilian audit agency, or a third-party CPA firm. In the event the verification is from a third-party CPA firm, the verification letter shall be on the letterhead of the third-party CPA firm, and certified by a certified public accountant. DHHS received 552 proposals in response to the solicitation. Two of the offerors submitted proposals as CTAs and included documentation that each members' accounting systems were adequate for cost-type contracts. But, because these forms were not submitted under the letterhead of the third-party CPA firm, DHHS found they did not comply with the solicitation's requirements to provide, on letterhead of the third-party CPA firm, verification that the CTA members' accounting systems had been audited and found adequate for determining costs applicable to the contract. The two CTA's filed protests with the Comptroller General (CG) concerning their exclusion from consideration. The firms asserted that under current regulations, potential non-responsibility determinations need to be referred to the SBA. The CG did not agree. The CG found that DHHS's evaluation was one of technical acceptability, not a matter of responsibility. Both proposals were found unacceptable because they did not include the expressly required verification on the letterhead of the third-party CPA firm. It is an offeror's responsibility to submit a well-written proposal, with adequately detailed information that clearly demonstrates compliance with the solicitation requirements and allows a meaningful review by the procuring agency. An offeror runs the risk that a procuring agency will evaluate its proposal unfavorably where it fails to do so. You can read the full Comptroller General decision here. By the way, we are a CPA firm and we regularly perform the kind of audits discussed above. If you have a need, give us a call.